My little man is a rocker! 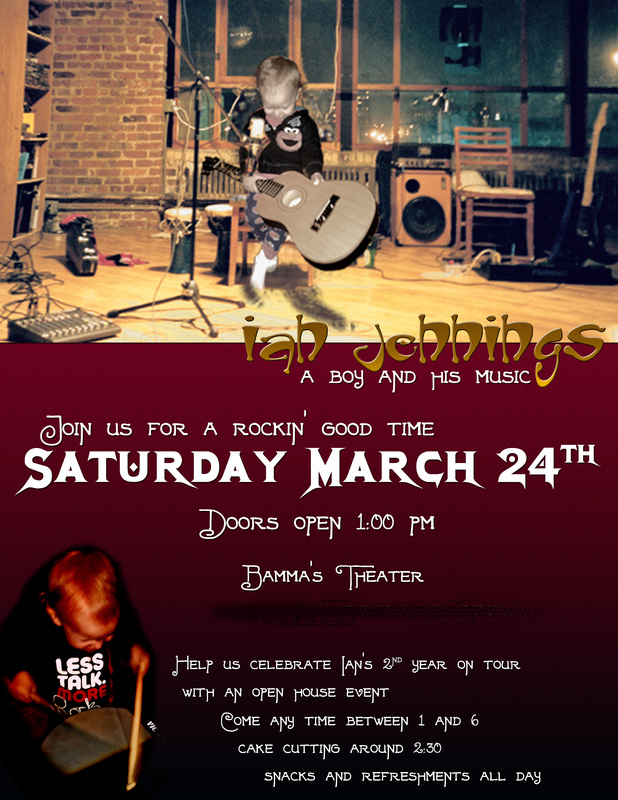 He loves to rock, he loves to dance, he loves to play the drums and jam on his guitar. 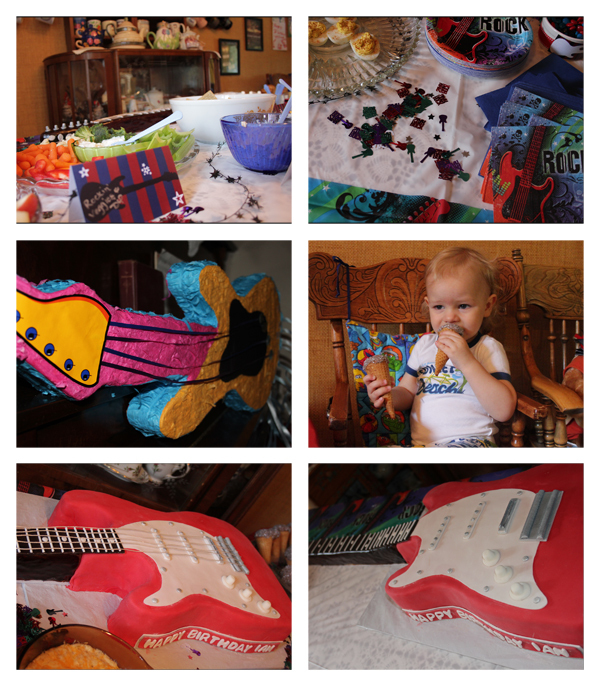 I figured a Rock n’ Roll themed birthday party would be just the thing for him. 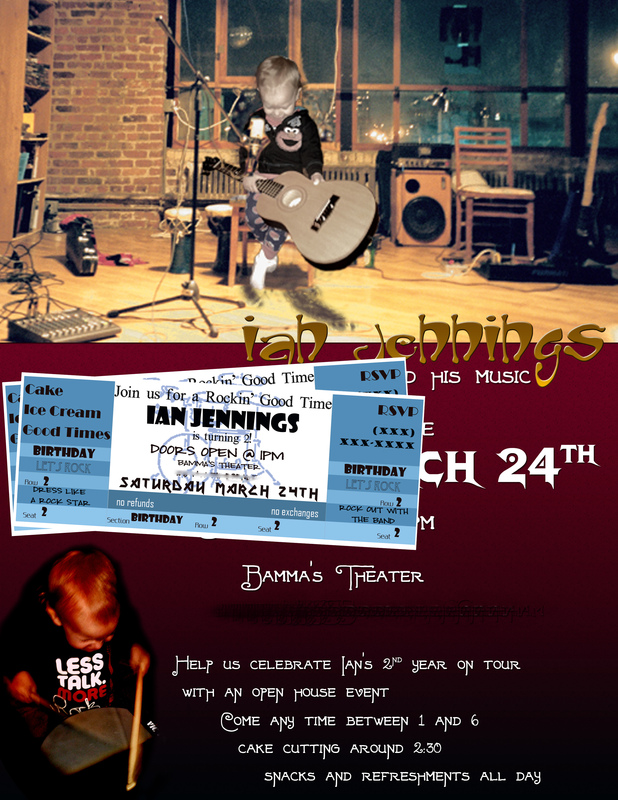 I wanted his invitations to be tickets to his concert with a promotional poster. I printed out the poster on 8.5×11″ card stock paper and stapled two tickets to each poster. The tickets were also printed on card stock. I made both the tickets and the poster using Photoshop. I had thought about doing one ticket per family member, but that became too much. So I settled on two tickets for each family. Because two looked better then just one. 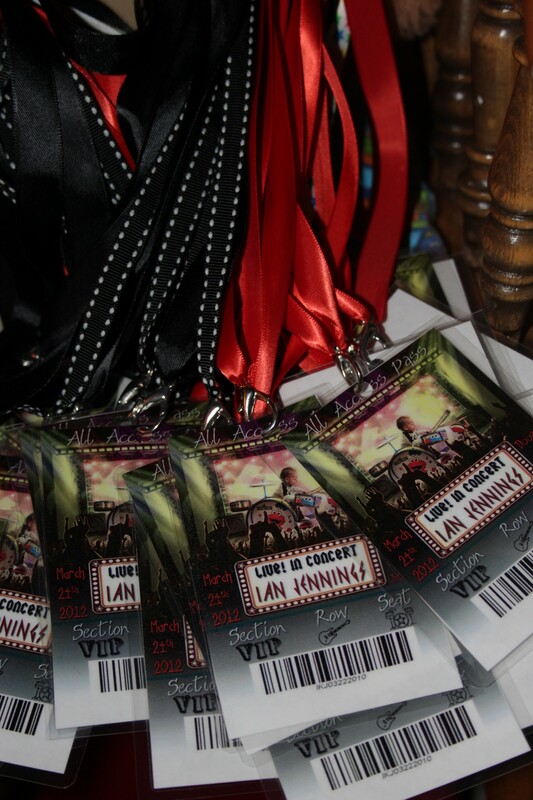 I made the backstage passes for the people who came. 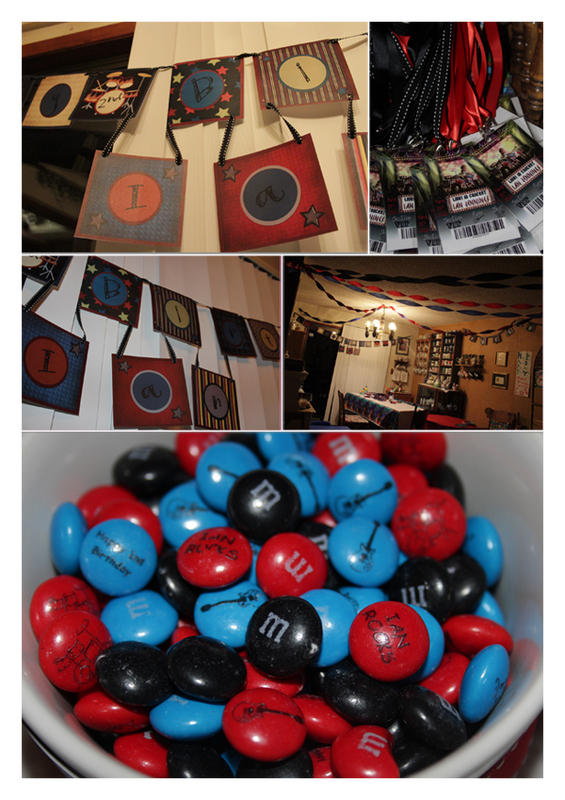 Being as we are a family that lives off M&M candies, and it is one of Ian’s favorites. We ordered some personalized ones from My M&M. Which I am pretty sure we do for most every party. 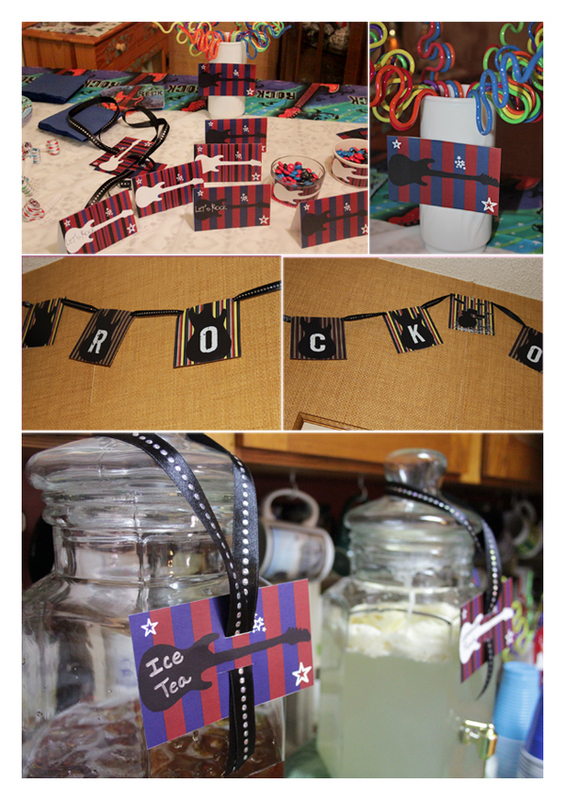 I made the “Happy Birthday” and “Rock On” banners using the Sam Kit from Just So Scrappy, one of my favorite kit designers. 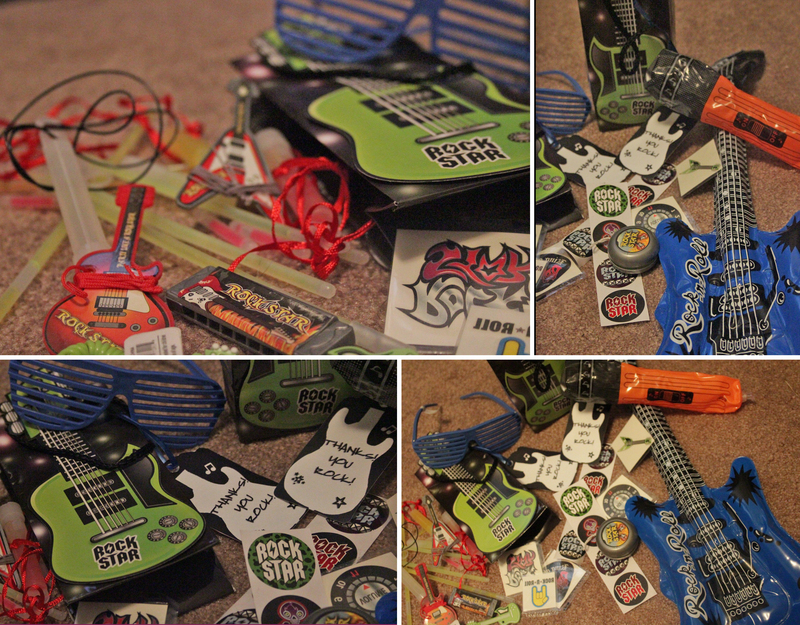 I was also able to make all the fun tags, using the same kit. The gift bags and goodies I got from Oriental Trading Co and The Dollar Tree. Some decorations, plates & napkins I found at Party City. I also bought the pinata at Toys ‘R Us. The FANTASTIC cake was made by my absolutely wonderful and talented aunt! 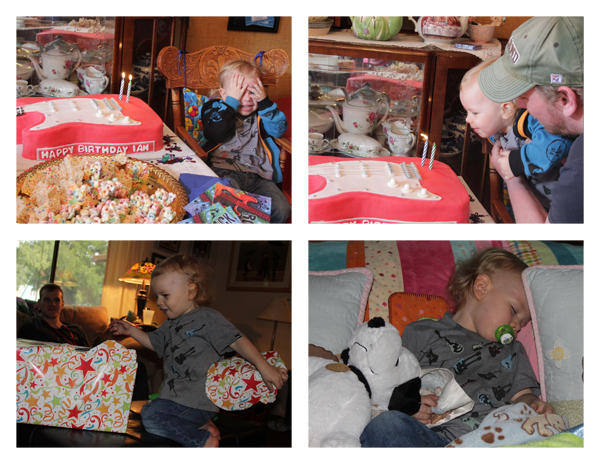 Ian was so excited for the cake, he loved it! All in all it was a wonderful day and Ian had such a great time.